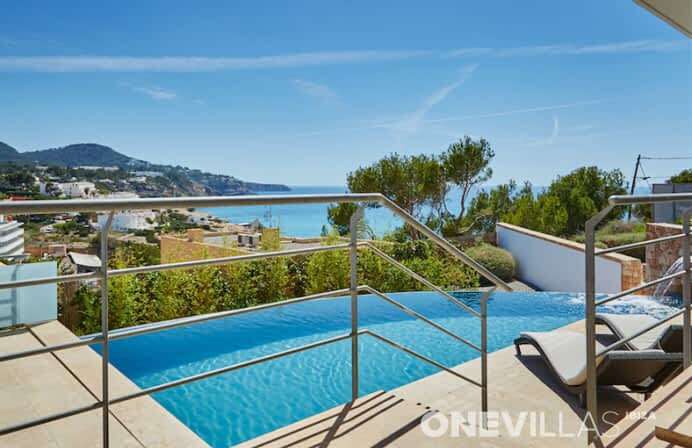 Cala San Vincente | Rent a house or luxury holiday villa in Ibiza! 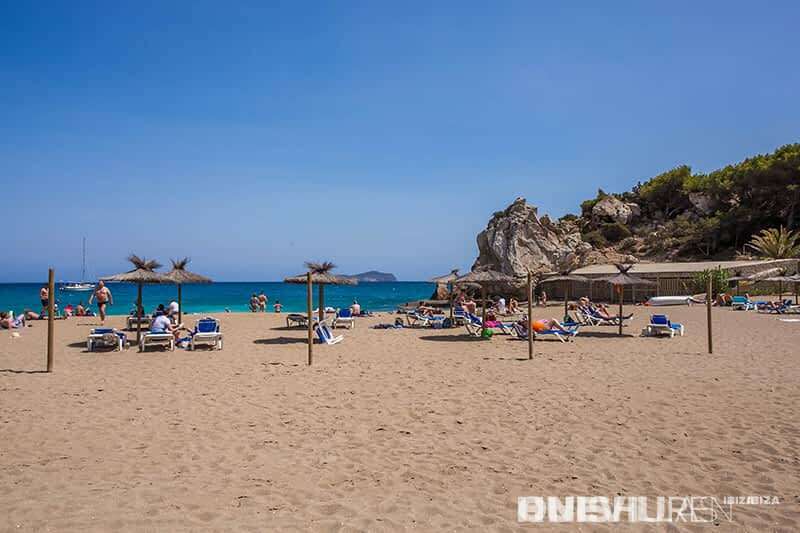 Cala San Vicente nestles against the hills on the most north-easterly point of Ibiza, a short distance past Aguas Blancas, and is reached by a dramatically winding coastal road with spectacular views. The long, crescent-shaped beach offers easy entry into the clear blue water, while the gently swaying palm trees along the promenade immediately put you in a holiday mood. 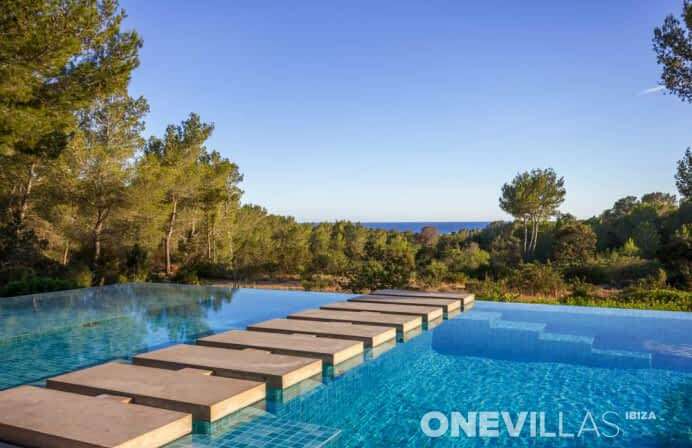 The distance from San Antonio (a 30-minute drive) and Ibiza Town (35 minutes) means that the hotels, restaurants and beaches here do not get too crowded. 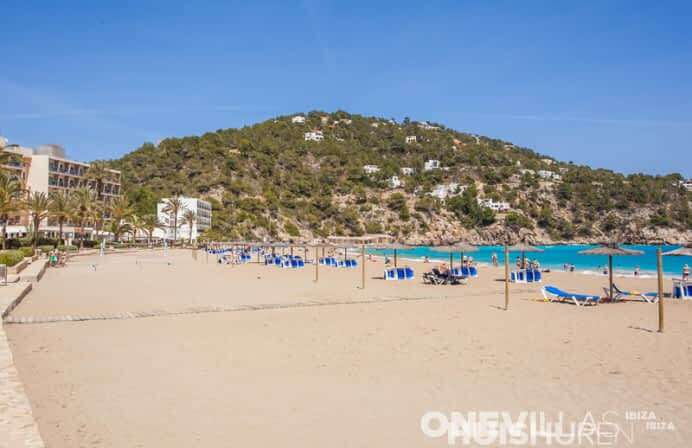 Much in Cala San Vicente still reminds you of the old, charming fishing village it once was, and fresh fish and octopus are among the specialities of several of the restaurants that are spread out around the bay. Pepe’s Bar is known for its excellent service and has a comfortable terrace where you can enjoy a drink or a meal, while the area also boasts several cocktail bars with romantic views across the beach and the sea. Of course, you can spend a wonderful time on the spacious sandy beach, but if you feel like a change, this is a beautiful area that offers a number of other pastimes too. Walkers will be delighted with the beautiful walks, which reward them with grandiose views of the bay. But it is also possible to hire bicycles here, or to visit the remains of burial caves from the Bronze Age. 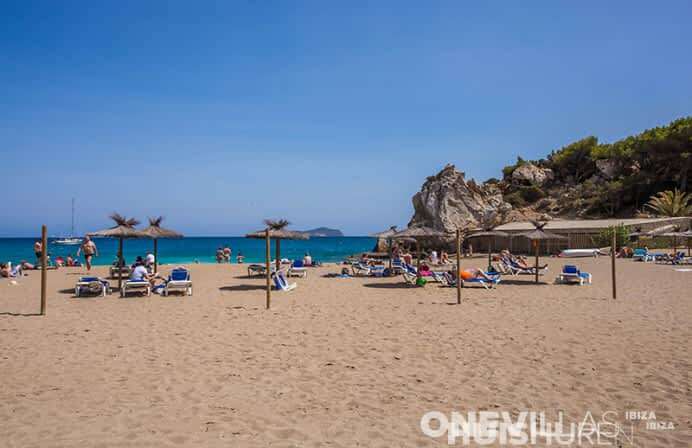 Water sports, snorkelling and horse riding are also activities that can be enjoyed in Cala San Vicente.